Part of the People Development Stream sponsored by Inspired Search & Selection Ltd. 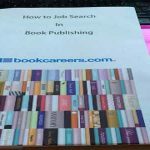 If you are at the London Book Fair as part of your research before applying for jobs (do not come to the London Book Fair expecting to find a job – please read this first), then our bookcareers.com Clinic should be an essential part of your visit. Do you want to have a quick chat with a Human Resources Manager from a UK book publisher? Or speak to one of the industry Recruitment Consultants? Maybe get Careers Guidance from bookcareers.com? Then join us in the bookcareers.com Clinic where we will have a room full of industry specialists waiting to answer your questions. Time is limited to approximately 5-10 minutes per person, and you will be seen on a first come, first served basis. 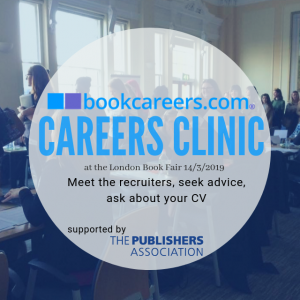 The bookcareers.com Clinic will be taking place on Thursday, 14th March 2019 between 2.30 pm and 5.00 pm, in the Olympia Room at the London Book Fair. You need a ticket for the London Book Fair for entry into the Careers Clinic. Once you have got your ticket for the London Book Fair, you can save time at the door by pre-registering for the Careers Clinic here. You will be held up, maybe excluded, if you do not pre-register. The bookcareers Clinic gets very busy. There will be a queue but we aim to see as many people as time allows. To give you an indication of how busy we are, take a look at the video from a previous year. There is an entrance fee to the London Book Fair. Follow this link to purchase your ticket. There is no charge for the bookcareers.com Clinic, which is supported by The Publishers Association but you will need to register. We are both organisations who are committed to careers within the industry. We had a limited number of free London Book Fair tickets for those who are not able to access one from elsewhere but these have all been used up. At time of writing we have 7 Human Resources departments drawn from across the industry and 3 Recruitment Consultants. Recruitment Consultants include Atwood Tate, Inspired Selection, and Redwood Recruitment. Please note we cannot guarantee that any particular adviser or consultant will be free to see you. Suzanne Collier of bookcareers.com will also be around to give qualified careers guidance. Will I be offered a job at the London Book Fair? 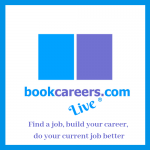 No, but we will advertise any job vacancies that are known to us in the Careers Clinic on the bookcareers website on the Monday after the London Book Fair. If you want to know how to use the London Book Fair if you are looking for a job, please read this. Should I hand my CV to exhibitors? Not a good idea. Most exhibitors are too busy to talk to prospective applicants and there is no guarantee that your CV will reach the person who you want to see it. We offer a CV Clearing House and circulate profiles of CVs after the Fair to prospective employers and place them on our website. Those who are already registered with our CV Clearing House are automatically included in this. Click the CV Clearing House link, and it will explain more about what we do. What should I use the Fair for? Use it for research in your job-hunting. Visit stands of companies that you would like to work for, look at how busy they are, what kind of books they are publishing, take away a copy of their catalogue for you to study later (or make a note to view their website online after the show, to save you carrying too much). Now go and visit their competitors, and make comparisons between them. Market awareness is everything in book publishing. When you go to an interview you need to demonstrate your enthusiasm and knowledge of the company. The book fair is a great place to start as the whole publishing industry is under one roof. This article How to use the London Book Fair if you are looking for a job gives you more insight into how to plan your visit. What do Exhibitors use the Fair for? The London Book Fair has become the number one event in the UK for those connected with books in some form. It now attracts a wide range of national and international visitors. These include booksellers, other retailers, librarians, publishers, literary agents, authors, printers and production staff. Publishers and companies relevant to publishing exhibit their products and wares to UK and International customers, both who purchase finished books and the right to publish their books in other editions or languages. Visitors to the Fair can range from your local Librarian or the Manager of your local bookshop, to a South African Publisher, looking for books to publish in Afrikaans. The other major exhibition which all publishers attend is the Frankfurt Book Fair held in Germany in October. 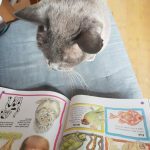 I can’t get to the London Book Fair or bookcareers.com Clinic, can I still participate? We run a telephone Careers Clinic all year round where you can have a quick chat about the help you need. Appointments book up very quickly. We also offer reasonably priced assistance with individual job applications, and longer face to face consultations for in-depth career guidance and development as well as interview coaching. You can book a remote Careers Clinic appointment online here.